More importantly, who is Marisa Robertson, and what happened to Jonny Appleseed? With Apple Pay, Apple has done as much as anyone to popularize contactless payments in the U.S. 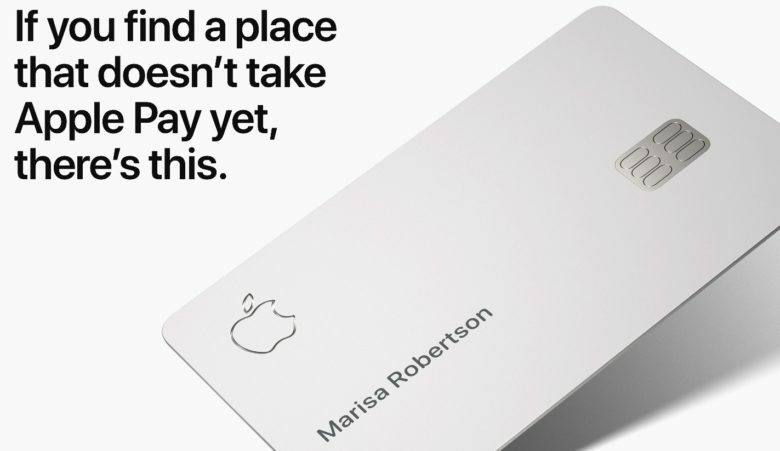 Despite this, it seems that the new physical titanium Apple Card won’t offer contactless payments when used in stores that don’t accept Apple Pay (or anywhere else for that matter). At least, that’s according to a spokesperson from MasterCard. Apple’s decision not to make Apple Card contactless does make a bit of sense. It’s designed to prompt you to use your iPhone to make payments. Why, then, would Apple want to give you an easy way of not doing so? That’s particularly true given that the company has previously expressed its surprise at the slow growth of mobile payments. The physical card is really more of a backup. It’s designed to be used either in countries that don’t offer Apple Pay or in the 30 percent of retailers who don’t support it. The whole point of Apple Card is to lock you more into using your iPhone. Not only is that the best place to view your financial info, but it’s also where you’ll get details about your card number. Still, it’s kind of amusing that, at a time when some bank cards are experimenting with features like built-in Touch ID, Apple’s made a bare bones credit card offering a fraction of the regular features. Are you excited about Apple Pay? Let us know your thoughts below.